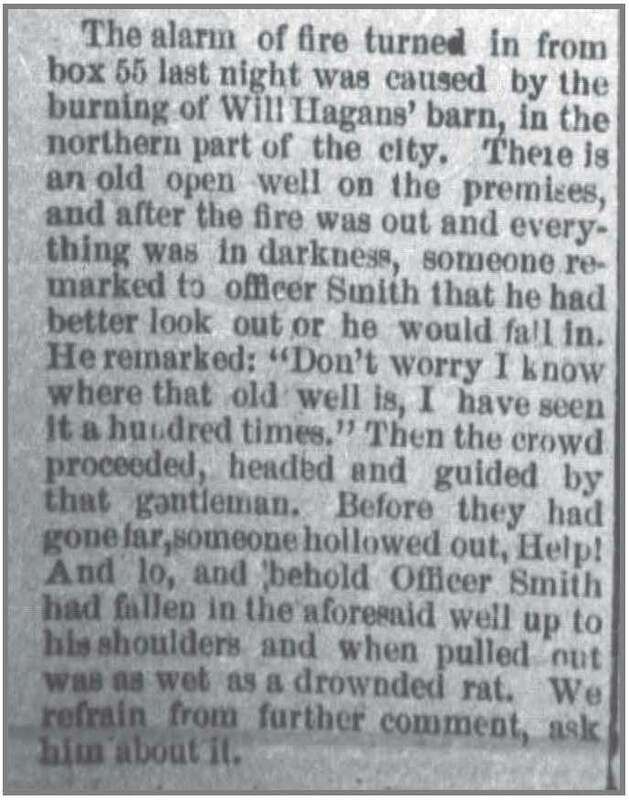 A burned barn, an old well, and Officer Smith. | Scuffalong: Genealogy. A burned barn, an old well, and Officer Smith. – Scuffalong: Genealogy. A burned barn, an old well, and Officer Smith. Goldsboro Daily Argus, 11 June 1904. Beyond the story of Officer Smith’s swift comeuppance, there is “Will Hagans’ barn, in the northern part of the city.” William S. Hagans and his family lived in Goldsboro at this point, and his landholdings were 15 miles north in the area of Fremont and Eureka, near the Wilson County line. For what, then, did he use a barn in town? → Misinformation Monday, no. 10. ← Remembering Launie Mae Colvert Jones.